With 2017 closing out as the biggest year yet for drones, we’re excited to see what 2018 has in store for the drone industry. During the last year, we’ve seen drones used in just about every industry, from insurance assessments to agriculture and energy. 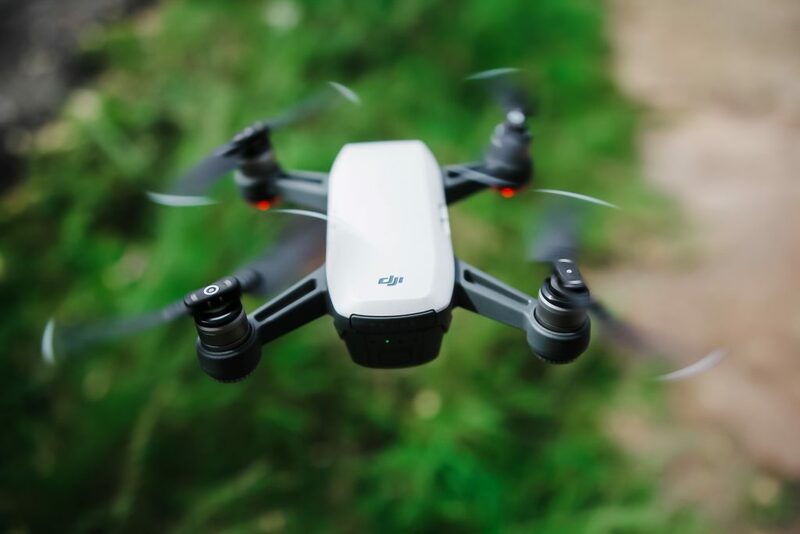 During that time, more than 66,000 remote pilots were certified by the FAA, solidifying drones as a prominent industry moving forward. Almost all major companies are beginning to develop and scale their drone operations, improving efficiency and safety, while cutting cost, and increasing ROI. Here at Soaring Sky, we’ve been proud to be part of the expansion, supporting Telecom, Insurance, Public Safety, and Utility companies as they scale up their drones-based operations. So what do we think is going to happen in 2018? Consumer Availability: We’ve seen it done in the past. Big tech companies like Apple have consumerized their products, like iPhones, making what would be seemingly difficult-to-navigate devices compatible with everyday individuals. You will no longer need to be an engineer to fly a drone. Its no secret that DJI has executed this perfectly. Becoming the largest drone manufacturer in the world and taking over 60% of the market share. We believe the that fewer companies will be getting into hardware in 2018 and looking towards other verticals to continue growth in the industry. In House Drone Programs: As more companies come to accept the validity and value of drones, we expect to see large-scale deployments and in house programs taking place. Hundreds or thousands of drones could be flying around the world on any given day collecting data to help businesses make better decisions. 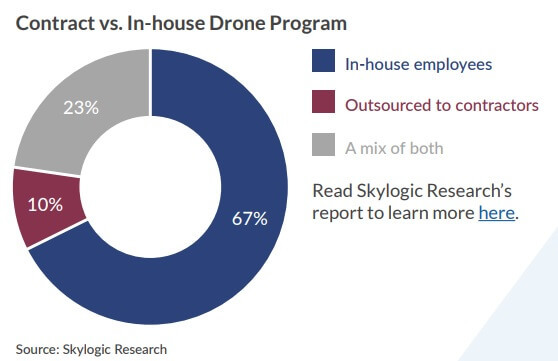 A 2017 survey from Skylogic Research shows that the majority of companies currently using drones are choosing to hire in-house employees (67%), while just 10% choose to contract out their services. Almost a quarter (23%) prefer a mix of both. But don’t worry, drone service providers won’t disappear. We will continue to see service providers work in niche markets and get contracted by small to medium-sized companies seeking drone data. We believe providers may get acquired by national companies or consult with companies to train and set up in-house operations. Automation: Like anything, as more organizations put drones to work, we will see an increasing demand for automated functionalities and workflows. As more data is produced, an increase in data transfer and analysis will be required. 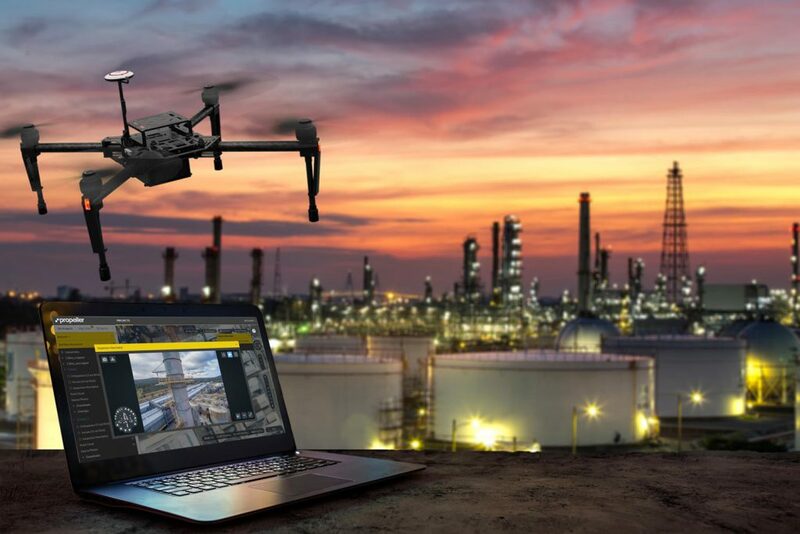 Drone data will be connected to industry tools, eliminating time-consuming configuration and connection across organizations. This is key to increasing adoption within other industries. We believe that full autonomous drone operations are soon to come as the FAA is working on clearing a space in the sky for drones to operate. AI & Machine Learning: You’ve probably heard or seen artificial intelligence and Machine Learning in other industries or maybe the movies. We only started to scratch the surface with this technology in 2017. Through machine learning and artificial intelligence, companies with large datasets will be able to identify and solve problems quicker with almost no human interaction needed. Real-Time Data: Faster is always better. Gathering insights in real-time is where drones are headed. Edge computing made possible by mobile drone hardware will now enable pilots and programmers to aggregate drone data in real-time. With this kind of support, they will be able to make adjustments mid-air, totally changing the plan for the day without wasting any time or resources. Enterprise Adoption: In 2017 we saw major players like John Deere, AT&T, Allstate, and many more turn to drones and start using the data with everyday tools to make better business decisions. We don’t expect this to slow down at all, as more companies come online with drones we will start to see new partnerships form and innovative software solutions created. 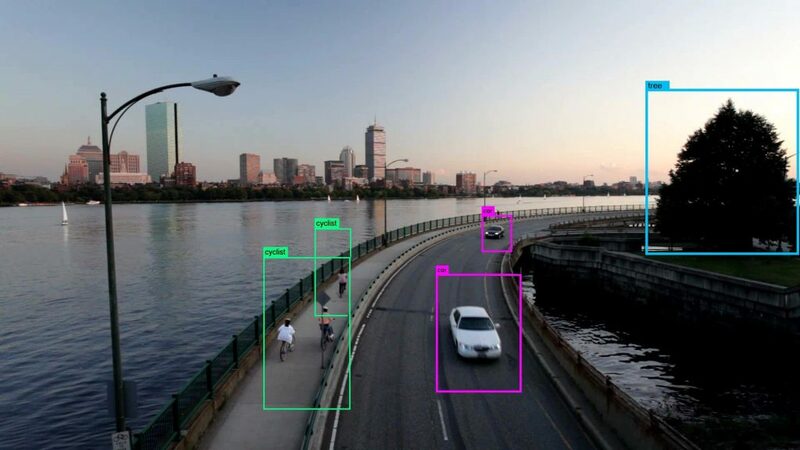 As we move more into 2018, we can expect to see artificial intelligence, real-time data collection, full autonomous flights, and a variety of other tech developments making their way into drones. From these new tech tools, we can predict larger fleets of drones to take to the air, enterprise companies developing and scaling their drone operations, and more consumers adopting the technology into everyday use. Although nobody really knows what will happen in 2018, 2017 has been a great indicator of progress. We can’t wait to see what happens next.